German airline one of several sources reporting serious damage to travel, tourism industry following recent spate of terror attacks. German flag carrier airline Lufthansa warned Tuesday that "horrific" terror attacks in Europe were having a "tangible impact" on business, with second-quarter profits down 17 percent. Advance bookings were down sharply, the airline said, as net profits for the three months ending in June came in at 437 million euros ($488 million). "Horrific terror attacks are making people feel unsafe," chief executive Carsten Spohr said in a conference call with reporters on Tuesday. "Because of repeated terror attacks in Europe and political and economic uncertainty, advance bookings, especially on long-haul flights to Europe, have fallen significantly," finance director Simone Menne said. The weak profits came despite the decline in oil prices, which resulted in a fuel cost boon of 597 million euros. percent blow, falling to 429 million euros. Lufthansa had already said last month that the jittery atmosphere in Europe was hitting its business and considered "a complete recovery as not likely anymore." Its European rival Air France-KLM also warned last week about the impact of recent attacks on the airline. 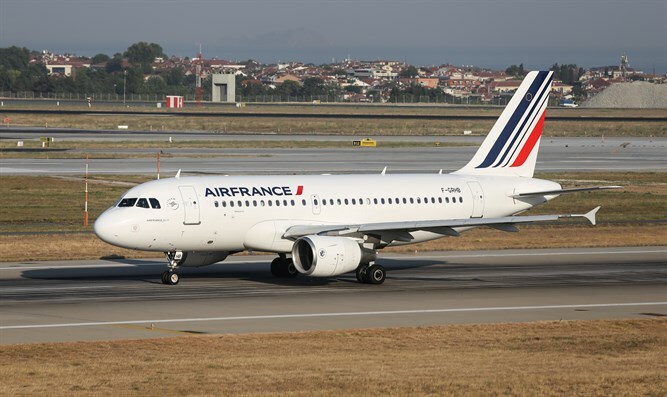 Air France-KLM's chief financial officer Pierre-Francois Riolacci said unit revenue fell by 5.6 percent in the second quarter, which he put down to the sluggish global economic recovery and "most of all the effect of the terror attacks that have struck Europe in recent quarters". A spate of attacks targeting France and Germany at the height of peak tourist season in Europe has hurt the industry. France, the world's top tourist destination, is reeling from an attack at the Riviera town of Nice on Bastille Day when a gunman drove a 19-ton truck into a crowd of revelers, killing 84. That was the third major strike against France in less than 18 months, coming just eight months after Islamic State gunmen and suicide bombers stormed bars, restaurants, a concert hall and the national stadium in Paris, killing 130 people. In January last year, 17 were killed in another assault at various sites including the offices of the Charlie Hebdo magazine and a Jewish supermarket in Paris. Germany, meanwhile, was hit in July by an axe attack that left five people - including four tourists from Hong Kong - wounded, a gun rampage, a machete assault and a suicide bomb attack. A spokeswoman for the German tourism board told AFP last week that "there haven't been any cancellations" in the immediate aftermath of the attacks in Europe's biggest economy. But in France, flight reservations following the Nice attack were down 20 percent. Between January and July 10 arrivals to France by air were down 5.8 percent, and arrivals by air to Paris itself were down 11 Percent.